A placebo is generally thought of as a "dummy pill" or "sugar pill." More formally, a placebo is a therapy that is not believed to have a specific effect on the disease or the condition for which it is given. Placebo is derived from Latin and means, "I will please." A placebo may be given in the form of a substance or a procedure. The placebo effect is the response of a person's condition to the placebo. Many dramatic examples of the placebo effect exist. One of the early examples in medical literature involved a woman with excessive nausea and vomiting during pregnancy. She was told she was being given a medication for nausea but was actually given syrup of ipecac, which is known to induce vomiting and is sometimes given to children who have swallowed a possibly toxic substance. The woman in this study actually had improvement in her nausea. 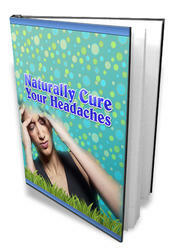 A well-known study of the placebo effect was reported in 1955 by Dr. Harry Beecher (1). He described the placebo effect in a variety of conditions, including the common cold, pain after surgery, headache, and seasickness. Overall, symptoms were improved in 35 percent of the people who were given the placebo. Subsequent studies of a variety of medical conditions found placebo effects that were frequently in the range of 30 to 40 percent. In some studies, placebos have been 70 percent effective. As would be expected, a placebo effect occurs in studies of people with multiple sclerosis (MS). A notable response to placebos has been observed in studies of therapy for MS itself, as well as for MS-related symptoms. In older MS studies, from 1935 to 1950, a variety of ineffective therapies produced 60 to 70 percent improvement. More recently, trials with chemotherapy drugs in MS showed a placebo effect on the rate of MS attacks. In recent research studies using interferon beta-1b (Betaseron), the first U.S. Food and Drug Administration (FDA)-approved immune therapy for MS, the number of MS attacks was determined for people taking Betaseron and for another group taking placebo. The placebo-treated group had a 28 percent decrease in the rate of MS attacks. Similarly, the placebo group showed decreased attack rates of 33 percent in trials using intramuscular interferon beta-1a (Avonex), 13 percent in trials with subcutaneous interferon beta-1a (Rebif), and 43 percent in trials with glatiramer acetate (Copaxone). In all these trials, the study drug was significantly more effective than the placebo, and this finding is the basis for the widespread use of these medications. Several explanations can be given for the decrease in MS attack rates observed with placebos. This may represent the natural course of the disease, or it may be an artifact of statistics (referred to as regression to the mean), but it also may represent a genuine placebo effect. Placebo responses also have occurred in studies that use biologic tests to monitor disease activity. Magnetic resonance imaging (MRI) is frequently used in MS clinical trials. A recent MRI study of a small number of people with MS found that the placebo-treated group had an approximately 20 percent reduction in the development of new brain lesions (2). This finding was not statistically significant, but this may have been due to the small number of people in the study. A particularly interesting finding occurred in a study of an experimental medication, alpha-interferon (3). People with MS were given alphainterferon or placebo. They were evaluated by determining the rate of attacks. Both the treated group and the placebo group had a 60 to 70 percent decline in the rate of MS attacks. The investigators also measured the activity of an immune cell known as a natural killer cell. 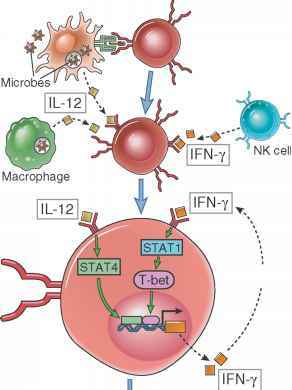 The natural killer cell activity was evaluated because it is known that its activity is increased by alpha-interferon. As expected, the group treated with alpha-interferon showed a 52 percent increase in natural killer cell activity. Surprisingly, the placebo group showed an increase in natural killer cell activity that was nearly identical to that of the alpha-interferon group. Placebo effects have been observed in other MS clinical studies, including those that have evaluated treatment for symptoms caused by the disease. For MS-associated fatigue, the placebo effect in clinical trials has been as high as 50 percent. These studies suggest that the mind may have a powerful influence over a disease process such as MS, as well as over the activity of the immune system.